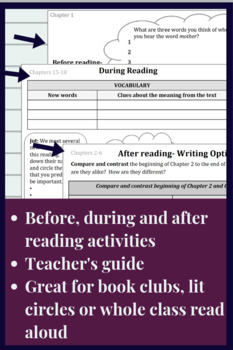 Each reading assignment has before, during and after reading activities. (See the Chapter 1 Freebie to get a better sense of wha the activities look like.) 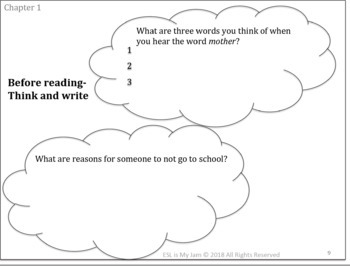 There are teacher's guides to accompany each reading assignment with explanations for all activities and a list of Common Core State Standards addressed. 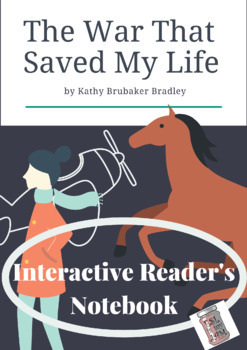 The Interactive Notebook activities are intended to be printed and given to students to complete and keep with them as they read the novel for reference. You can either print and staple or reduce the size and glue pages into composition books, an explanation for how to do that is provided in the product. 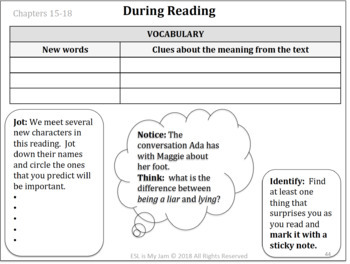 This Interactive Notebook is intended to go with the Building Background Pre-Reading Unit product as the "experts" referenced in the notebook should be students who have selected a topic and completed the background building activities.